Kagawa divides most of her story between two protagonists: Yumeko, a half-human kitsune or fox spirit raised at the monastery where the first scroll was hidden, and Tatsumi, a Shadow Clan assassin bearing a demon-possessed sword. Both perspectives are first-person, letting the reader in on the secrets each is keeping from the other. The novel’s greatest strength is its setting. Like the game Legend of the Five Rings, which it strongly echoes (with seven totemic Great Clans, iaijutsu duels, and corrupting blood magic that summons demons from Jigoku), it is based on the historical culture and folklore of Japan, which even now remain relatively uncommon in English-language fiction. Although some of those elements are familiar, Kagawa doesn’t stop at the obvious level of samurai and monks. She also incorporates miko (Shinto shrine maidens) and onmyoji (yin-yang magicians), and uses the less well-known term “shinobi” in place of “ninja” in describing Tatsumi and his ilk. Her yokai (supernatural creatures) include the famous kitsune and tanuki, but also jorogumo (monstrous spiders), kamaitachi (sickle weasels), and omukade (giant centipedes). The story itself is decidedly more conventional epic fantasy fare, with its ancient danger, trio of important objects for the heroes and villains to fight over, and even a prophetic vision marking one of the protagonists for a great destiny in that fight. As Yumeko and Tatsumi travel toward their first objective, they have a series of set-piece encounters that serve to gather around them a motley crew of allies across the spectrum of Iwagoto society, including a ronin, an imperial nobleman, and a shrine maiden. Yumeko’s challenge in this journey is hiding her half-kitsune nature. Although at the beginning of the novel she’s warned about the danger of losing herself to her fox side, that danger is largely absent in her travels, possibly because she puts so much work into seeming human. Her ignorance of human society, however, provides much of the novel’s limited humor. A character who strives to shed all personal goals and feeling offers very few opportunities for the reader to form any attachment. Even in his loyalty to the Shadow Clan and his growing attachment to Yumeko, there’s no real sense of passion, and his struggles against the rage and bloodlust of the demon Hakaimono lack the visceral punch one might hope for. The end of the novel, however, creates the possibility that Tatsumi’s arc in the second book might be more compelling. 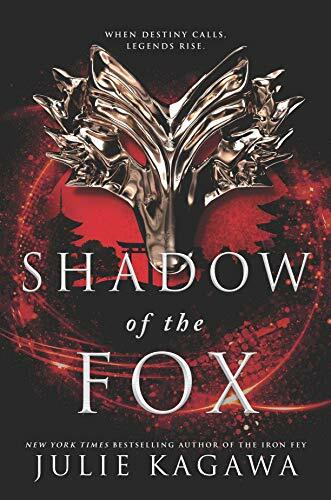 Shadow of the Fox is the first book in a trilogy, and while the three scrolls of the dragon prayers imply an obvious structure to the story, the climactic confrontation here suggests that Kagawa might yet take it in more unexpected directions.